Can magic potions make someone fall in love with you? Over the centuries, the amorous have tried a bewildering, and frequently odd, assortment of ingredients in the pursuit of love. These have included: edible bulbs, mushrooms, mashed worms, various bodily fluids, garlic, onions, Spanish fly (actually a beetle), lentils, prunes, cucumbers, myrtle, and carrots. Despite Valentine’s Day mysterious and puzzling roots, it is discernible that people have observed St. Valentine’s Day for centuries. However, the question remains do love potions actually work? 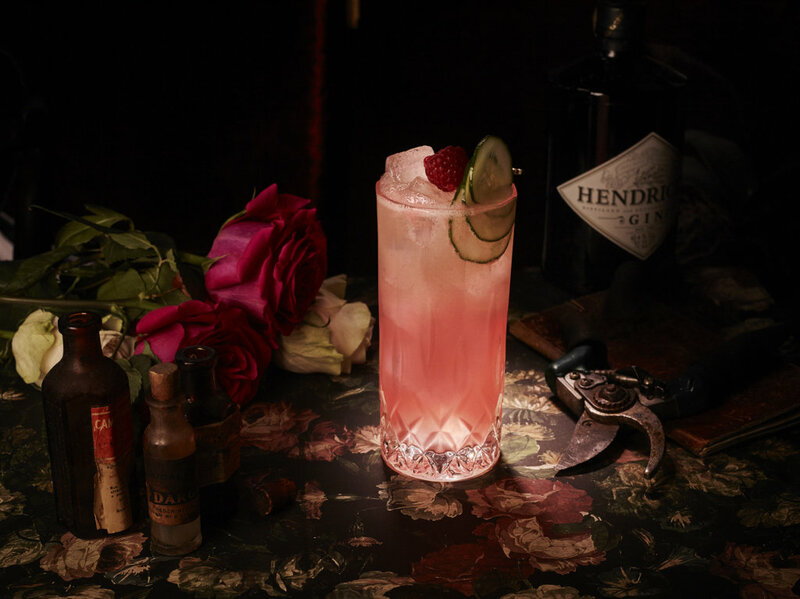 Among the elixirs of love and lust, pushing the boundaries of the peculiar, this Valentine’s Day, Hendrick’s Gin invites you to stir up your own Cupid’s Cocktail, the Rose Garden. Love potions often call for many ingredients, and Hendrick’s Gin’s very own cherished cucumbers contain vitamin C, manganese and silica, which all play a part in keeping one lusty. dangerous substance is potentially fatal and its side effects can include photophobia, amnesia and a state of delirium. 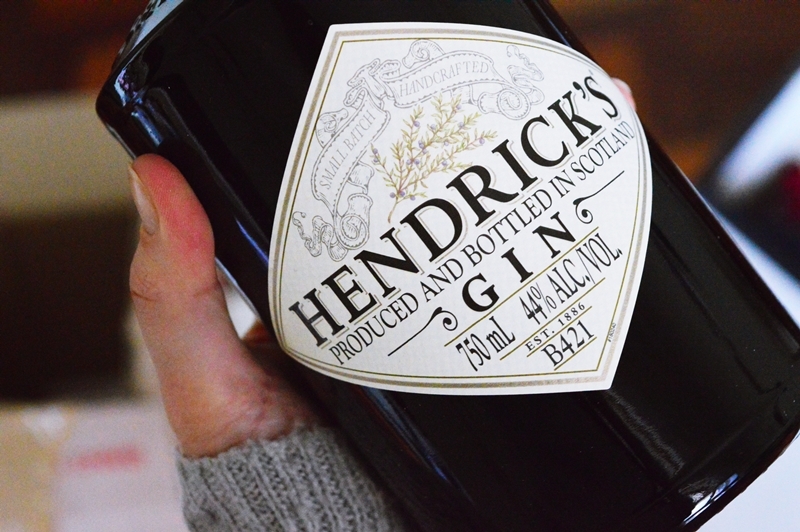 However, it does not need to be all roses and cucumbers this Valentine’s Day, because Hendrick’s Gin’s wondrous botanical signature proudly comprises of a range of 11 botanicals from all over the world. One such botanical is lemon, which packs a big, romantic, bitter-sweet punch in the making of a gin cocktail. This botanical is perfect for Valentine’s Day, because in the Victorian period lemon oil had surpassed many types of cologne as the signature smell for many women hoping to razzle and dazzle their St. Valentine. The citrus was also said to frighten the Alps, a nocturnal creature that attacks sleepers, creating nightmares. When life gives you lemons, why not used them as the “passionate catalysts” to a perfect Cupid’s Cocktail. With the Rose Garden cocktail perfectly infused with lemon juice and rose syrup, so that you can be the connoisseur of your love potions enchanting charm, it is without a doubt that the best love spell is indeed to love. to the cocktail shaker and muddle. shaker until the ingredients are fully combined. 3. Prepare a glass (or dainty watering can if you have one!) with crushed ice. 4. Pour the cocktail mixture in the glass through a cocktail strainer. 6. Garnish with rose petals and enjoy this cocktail recipe. I hope you’ll be enjoying yourself a delicious cocktail this Valentine’s day – cheers! !